I thought I would end this Fun Friday series with a dessert! Who doesn't love dessert? This recipe comes from a dear friend of mine who has put up with me for years. Thanks D! Spray crock. Beat all ingredients together. Pour into the crock. Cover and cook 4 hours. Serve with cool whip or ice cream. Make a master list of all the items you keep in your fridge, pantry and freezer and keep it posted in your kitchen. That way when you run out of an item, you just mark it on your list. Before you shop for the week or month, add anything extra you will need for your menu and you are ready to go! Hop over to Marcy at Ben and Me to see some other fun tips! Last week, I was at Hallmark buying a hand load of cards to send to my college girl and a few of her friends that have left the nest as well. A BIG hand load. So I felt the need to explain myself. (I know, I know, it is a fault I am working on) I mumbled something about just leaving my oldest at college and immediately the checkout gal gasped, manged to get out a weak "me too" and got teary. ahhhhhhhhhhhh, someone just like me. And if I had not had that annoying trait of needing to explain everything to everyone, I would have missed her and her sad heart. Instead I was able to take a breath (to fight my tears), tell her I understood, and assure her we would get through and that I would pray for her. And I will! Just as a new friend of mine has committed to pray for ME every time she misses her son (don't you just love that concept? Thank you Jan! ), I now have another person I can pray for when I feel those heartstrings get tugged at. that need a friend and a prayer? Oh, that I may open my eyes and be that friend! It is hard, it takes time and it takes commitment, but God calls us to love others none the less. Are we making the effort? See 'ya back here on Wednesday! Congratulations! I have emailed you. THANK YOU to all who entered and took time to visit our blog! You have blessed us by doing so, and we pray you are blessed equally by being here. Also, thank you for some great tips- we are already starting to try out several new ones. Have a wonderful weekend! Crocking Fun Friday-It came in! So because of my excitement you get two recipes, one for each! The first is simple and comes from The Crockin Girls' Slow Cookin Companion cookbook. Cook sausage and drain. Place in cooker with cream cheese and tomatoes. Cook on low for 2 hours or until heated through. The second, not so hard either, and one I do on a regular basis. I add one fryer chicken to the slow cooker. Usually it is frozen solid! Yes, I know there is "extra stuff" in the cavity. It gets cooked as well and discarded later, but since it is a good source of nutrients, it stays in for now. Or anything else you feel like throwing in. Add 2-3 cups of water. I turn my Crock Pot on right before we go to bed and set it on low for 10 hours. By the time we wake up, the cooker has switched to warm and the house smells good! Sorry, this is a HORRIBLE picture, but funny story! We were half way through eating dinner, and yelled stop! (scared everyone to death!) I realized I had not gotten a pretty, before picture, so you get the half eaten one! 2- I debone the whole chicken, freeze 2 cups portions and save some for homemade soup for our lunch. Regardless, we always get several meals out of that chicken which saves money, we have cooked chicken ready to pull out of the freezer for easier and quicker meal prep, and I always have plenty of homemade chicken broth to freeze. Haven't bought a can of chicken broth in a LONG time! Click on the banner below to visit Marcy at Ben and Me and see more quick tips! Hal and Melanie Young, authors of the book and website Raising Real Men, are also the workhorses behind Great Waters Press, a publishing company dedicated to focusing on "Making Biblical Family Life Practical." 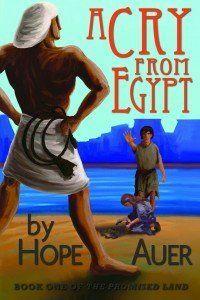 They have done this well in the past and have recently introduced a new fictional book to their lineup- A Cry From Egypt, by Hope Auer. This is Hope! She has been writing since she was a young child and has now begun a new Biblical, Historic fiction series called The Promised Land. A Cry From Egypt, started when she was just 13 and as a homeschool assignment, is the first book to be published in that series. I love when young people follow a dream, and that is what Hope has done. 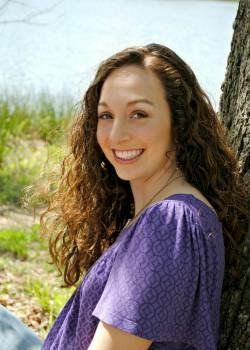 Homeschooled, and encouraged by her mom and dad, she put her love for words down on paper, caught the attention of Hal and Melanie Young, and got her book published. No small feat for any young person. This is Hope's book! Geared for ages 8 and up, A Cry From Egypt follows a young slave in Egypt named Jarah. The story is set during the return of Moses to plead with Pharaoh to set God's people free. The plot takes many twists and turns throughout the story and kept us on the edge of our seat. There is adventure, romance and lots of biblical information sprinkled throughout. Like did you know that each of the 10 plagues were directly related to an Egyptian belief or superstition? One of the things I enjoyed most about this book as a parent was that Hope did an excellent job of focusing on her story, while staying true to the Biblical account of the plagues in Egypt. She allowed the Bible to speak for itself with the details she presented, neither adding nor subtracting from it. Moses and Aaron were mentioned, but were carefully treated as minor characters, not presenting the need to make up additional information for them that the Bible does not supply. Instead, one could enjoy the fictional characters Hope created and the adventures that they encountered. My two cautions or concerns. There are several scenes that I felt were a little brutal for younger children. When people were beaten, I cringed. For that reason, we did not use this book as a read out loud for my family as I had originally intended. Instead my 14 year old daughter read it alone, and now my 10 year old son and I will read it together. My second concern was the presentation of the relationship between the mother and father in the story. It was tense at best, the father being a believer and the mother not. It is a necessary part of Hope's story, but I was uncomfortable several times in the story with the disrespectful way the mother spoke to the father. Again, while it is important to the story, we teach our children in this house about women Biblically submitting to their husbands and the importance of respect in the family. The obvious contempt and disagreements between husband and wife bothered me, and will definitely be a point I bring up when reading and discussing it with my son. That being said- did we like the book? Yes! It was maybe a little young for the 14 year old, but it was an encouragement to her to see a fellow homeschooler publish a book, something she would really like to do in the future. I am excited about reading with my son next! I recommend it for those of you that enjoy bringing history to life with reading books. I applaud Hope for her efforts and commend her on a job well done. I encourage you to check out her website as well, A Cry From Egypt, as she is currently writing a series on how to write and publish a book. I love how she is taking her God given talent and using it to help and teach others, and I am thrilled that Hal and Melanie Young saw something special in her and gave her a chance! You can buy A Cry From Egypt for $12.50 from Raising Young Men. To read what fellow CREW mates had to say about this about and several other's published by the Youngs click on the banner below. Disclaimer- I received a copy of A Cry From Egypt in exchange for my honest review. Opinions expressed are my own and were not influenced by the publisher in any way. I promised a giveaway with this great product, so here it is! 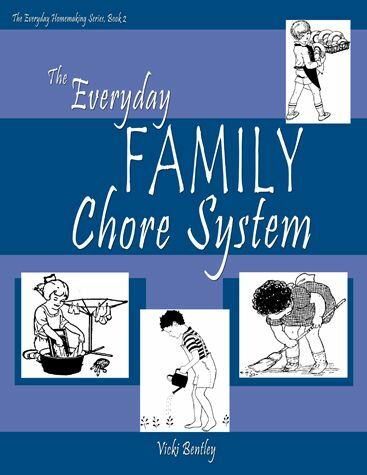 If you read our review here, we loved Vicki Bentley's The Everyday Family Chore System and are thrilled to be able to give away a spiral bound copy of it to our readers. Just enter the Rafflecopter below and a winner will be chosen on Friday! This post is linked up with The Modest Mom Monday Link Up! Thanks Caroline! Marshall Publishing is a gem of a place for great materials, homeschool or otherwise. Their website is packed full of DVDs ,CDs and books that I encourage you to take some time to peruse. In this day and age when it is hard to find acceptable entertainment for our children, it is nice to find so many great resources under one roof. For this review we were thrilled to receive the DVD The Historic Expedition of Lewis and Clark. Now, I admit we already knew a great deal about these two explorers having lived out west for most of our military career, but we found this DVD entertaining, none the less. What does one do with a DVD such as this once watched? Here's my plan. This video created a lot of talk in our house...how did they feel, were they scared, do you think that really happened, what did they see, what did they eat? It got us thinking and talking, a good thing in a homeschooling house. So I have since found a unit study on Lewis and Clark that we are going to work our way through using the DVD to help us find answers and reiterate what we learned in the study. The glory of home schooling is that we can take it at our own pace, re-watch sections we really like (the animals!) and really dig deep into the material. The other great thing about combining the DVDs with your study, whether unit study or otherwise, is that you are able to present materials through several different mediums. One of my sons is an auditory learner, BIG TIME! So anything he hears he retains at a much faster rate than say, just reading. For that reason, DVDs and audiotapes are huge resources in our home these days and I am thrilled with the plentiful supply offered at Marshall Publishing! You can purchase The Historic Expedition of Lewis and Clark DVD for the sale price of $19.95, Use the code TOS27 and get fee shipping on any order you place. These would be a great addition to your family library, as well as great gifts. Don't forget, Christmas is just around the corner! To see what fellow CREW members had to say about this DVD and several others reviewed, click on the banner below! Disclaimer- I received a copy of the Lewis and Clark DVD in return for my honest review. Opinions expressed are mine and were not influenced by the company in any way. Crocking Fun Friday and a blessing! OK, here's a quick recipe for the slow cooker for you, we make this often! It's makes a lot, so it is also good for when company is coming over. Put roast in slow cooker. Mix remaining ingredients and pour over roast. Cover and cook 4-5 hours on high, 6-8 on low. Shred pork and cook an additional 10-20 minutes. Bad news- remember that my crock pot died last week? Yep, really could not get it to work. The good news- My husband AND the Crock Pot people are amazing! I was going to just throw that sucker away and get a new one. My amazing husband had a different idea and called Crock Pot's handy dandy phone number to see if they could help him fix it. Stick with me, the story gets good. she said we will send you a new one! Oh, and your model is not made anymore so we will have to send you a NEWER one. Once the box gets there, please return the old one in the box so we can see what was wrong. WOW! Now how's that for customer support? YEA CROCK POT! Pressed for time but still need a clean bathroom? I clean my boys bathroom while my youngest takes a bath, saving the bathtub for last when he gets out and is drying off. Because he is younger and still needs supervision, I have to be in there anyway- so multitasking is it! Because I use natural cleaning ingredients, I do not have to worry about gasing him while I clean. He gets a few minutes of extra water play time, I get a clean bathroom! Hop on over to see Marcy and others' quick tips at Ben and Me! You just have to know upfront that I have been excited about this review since the minute we got it. And it is very personal for us. And I am going to go on and on! And then maybe on some more. Hola, soy Speekee. Y tu? That's how the videos start. I typed it by heart. Wanna know why? Because CJ is an obsessed Speekee groupie. Think Elvis or Beetles, here! Before I get too ahead of myself, let me fill in some details. 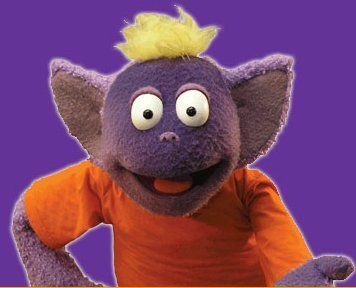 Speekee TV is an online video program that teaches younger children (recommended 2-10) Spanish by immersion. 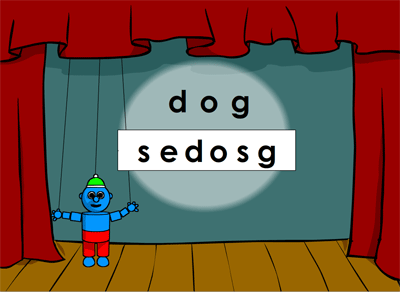 Using the adorable purple puppet, Speekee, two sock puppet friends Dino and Lupe, and then a cast of children in Spain led by the teacher, Jim, your child learns vocabulary, phrases and catchy songs. (That sometimes make my 14 year old leave the room, I do admit!) Each of the 10 videos are centered around a theme (cafe, park, school, zoo etc.) and last about 20 minutes long. There are also individual clips you can watch if you have time for only a few sections in one sitting. Following the immersion concept, the videos are completely in Spanish, with subtitles available. To increase your learning, the FastTrack program has been added, which schedules specific learning instructions for a 40 week period. The added bonus is that these lessons can be emailed to you each week as a reminder. Worksheets and flashcards are included along with activity suggestions. While watching the videos your child gets to earn points to use in the mercado (store). Points buy you colors, patterns or accessories to allow you to change your puppet on the side bar. This is not an essential part of the program, just a little fun on the side to entertain younger children especially. So why do we love Speekee? At the risk of sounding like a infomercial, here goes. As some of you may know, our family adopted our youngest, now five, from Guatemala at the age of almost two. Yes, he came home only speaking Spanish and No, we are not bilingual. At all! But we tried. We read bilingual books, listened to tapes, stumbled over Spanish toddler phrases and did our best to keep his Spanish in tact. Results- not so much. We began to see a trend of CJ saying, No Espanol. It seemed the more we tried, the more he dug his heals in about speaking Spanish. Seriously! And then Speekee came into our house and for some bizarre reason my child became obsessed. He has spoken more Spanish in the past 6 weeks than in his three years home. And we have watched those videos until we all know them by heart. CJ's foster mom may still cringe at our pitiful attempt of an accent, but I pray she will be proud of his progress and our commitment to try to honor his heritage. When we are able to return to Guatemala to visit one day, we may be singing our Spanish, but hey, at least we know a little more than we did a month ago! A few things about how we used this program. The FastTrack lesson plans take it nice and slow, which I recommend for slightly older children, but for CJ we put aside the lessons until next year, when he is in first grade. We have been introducing two videos each week and then each day he chooses which one he would like to watch. Now he has six to choose from so far and I do usually limit him to only two a day. Otherwise he might drive us all crazy! We accidentally got locked out of the program for almost two days (read I forgot the log in and password here) and I thought my child was going to have a meltdown. We seriously almost Skyped with a fellow CREW member so he could watch along with her child. I sit with CJ while he watches the video, occasionally piping in with a translation or repeating something I am not sure he caught. There are several times during the program that Speekee asks for your response, which CJ loves. I also sit with him right now because for some reason every time the songs begin he wants to jump up and dance, playing his pretend guitar. Now I have convinced him that is only needed during the opening and closing song. An older child should need no guidance except for when you are teaching using the FastTrack lesson plans, but know that they will have to learn to use reasoning to figure out what is being said sometimes. It takes time and patience for sure, but teaches them to look for visual cues, which Jim is wonderful at giving. If CJ asks me what they said, I often will pause the video and get him to think about the clues and the context. If my 5 year old can figure it out, your child can too! Studies show immersion of a language works best for learning, something we saw firsthand while in Guatemala. *Maybe because of the cute purple puppet. Childish for older kids, probably, but not really for the targeted age. *The catchy songs which I have to admit run through my head at some point every day! *The clips that are real people. Each of those clips are filmed in real places in Spain using real students who speak Spanish. Maybe he identifies with them, maybe not. But he LOVES those clips best! Note- This Spanish is from Spain, not Latin American, so some words are going to be slightly different. *CJ is learning while having fun! *CJ asks to do Speekee EVERY. SINGLE. DAY! More than once, mind you! *FastTrack is organized and emailed to me. Printables are included. You all know how I LOVE lesson plans! You can try two weeks of Speekee for free, which I encourage you to do. After that it is $7.50 per month, or $60.00 for the year. You can also buy a DVD boxed set, but since the company is out of the UK, make sure your DVD player is PAL compatible. To see what fellow CREW member shad to say about Speekee, click on the banner below. Disclaimer- We received a free six month subscription to Speekee TV in exchange for our honest review. The opinions expressed are our own and were not influenced by the company in any way. Math 911 is straight forward way to learn math online, with no bells and whistles to entertain, just learning. Professor Weissman believes in Learning Mastery, a "keep on trying" approach that encourages students to get it right without penalizing wrong answers. Step by step solutions are available for each problem with the click of a button. Once you access the math page, you can choose what level and course to begin with. Nothing fancy, just the problems. As a matter of fact, it reminds me of what the computer screen use to look like when I was younger. My 14 year old's comment was, "What's with the colors?" I, of course, did not notice anything funny about the colors which does sort of point out our age difference. One thing that I really liked about this program was the downloaded pdf files. Written directly to the student, these are fun teaching tools with some well laid out explanations. Our one complaint is that they do not correspond to a particular lesson. We also liked the fact that you could see via a chart how much of each level you had completed and how far you had worked through the program. You also have a way to access your grades through the introductory screen. If you change levels, however, it will close Math911 and you will have to reopen, a small but slightly annoying feature. Our biggest complaint- if my daughter had not already had a year of Algebra we would have been lost, I am afraid. While there are explanations of each individual problem, which I believe is good for practice, there is not a real teaching tool involved. If you did not semi know how to do a certain type of problem, I am not real sure how you would figure it out, other than by trial and error. I glanced at the higher levels and was overwhelmed by the information presented with no initial explanation. For that reason, this was not a great fit for our family for a complete math curriculum. I would, however, recommend it if your child needs additional practice. I wish I had been able to have my oldest use it as a review when she was studying for the ACT. A downloadable version of Math 911 is free and gives you access to the complete Introductory Algebra course. An upgrade is available which will give you access to additional courses such as Intermediate Algebra, Statistics, Trigonometry and pre-calculus. There are regular updates that you can easily access from the website. Algebra in a flash , normally $49.95, is on sale now for only $9.95 using the promotion homeschool. Yes, there really is a Professor Weissman! And can I just say that his customer service and commitment to helping you is amazing? He is quick to respond to any questions you have and committed to trying to help you make this program work for you and your family. If you have any questions, the best place to start is with an email to him! To see what other CREW members had to say about Math911, click on the banner below. Disclaimer- Our family received a free subscription to Math 911 in exchange for our honest review of the product. All opinions stated are our own . Have you heard of Erin at 5 Dollar Dinners? I have mentioned her before. Not because I get anything from it, mind you, but just because I LOVE her site. She is a wealth of information on saving money and recipes, and now has three cookbooks. I have the first two and love them! (Won both of them!) She is the mom of several young boys and one on the way, so the recipes are always family friendly. Anyway, often she posts slow cooker recipes as well, so today's is from her website. Be sure to hop over and check it out! Add hamburger, onion, bell pepper, beans, corn, rice, diced tomatoes, tomato sauce, water and taco seasoning to the slow cooker. Cook on low for 6 hours. Ladle soup into bowls. Top with crushed chips and cheese. Hope this week finds you with cooler temperatures, a slow cooker going and a smile on your face. As for me...have I mentioned that my slow cooker died on me? Seriously, WILL. NOT. WORK! Which WILL. NOT. DO! So I am off to buy another one. Or two! 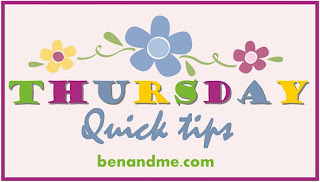 I am joining Marcy at Ben and Me with Thursday Quick Tips! Pop on over to read her tip for today and many more. A simple tip to make life easier for me- freeze ahead simple batches of food to have on hand and ready for quick meal prep. This time I am not talking about whole meals, just the simple stuff that you can take out, defrost and add together. You get the idea. Then when we need something, I pop it in the microwave or defrost in a bowl of warm water and make dinner. No more waiting for the slow stuff to cook, it was already done on a free weekend! Quick and easy and saves tons of time on those busy weekday nights when the family is hungry and you need dinner on the table- NOW! Kindergarten- The Year of reading. Or at least, trying to! For the past month we have had the privilege of reviewing the Reading Kingdom website with our 5 year old. We were currently "doing" another reading program, but this is the one CJ began to ask to use daily and so, sure...read on, CJ! Reading Kingdom is an online program geared for grades K-3rd to teach reading, comprehension, and writing. 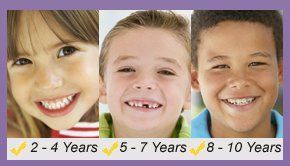 Developed by Dr. Marion Blank, author of the book The Reading Remedy and director of the Light on Learning program at Columbia University, Reading Kingdom uses parts of phonics and whole language learning and adds sequencing, motor skills, sounds, meaning and comprehension to teach reading and writing. When you first begin Reading Kingdom your child will take a skills test which places them in the appropriate level. There are 5 levels with 6 books in each level. Before a child reads a book, he or she is taught all of the words they will need to know to be able to read that book. Instant success = happy, confident child. After each level there is a progress check. If your child shows mastery, they move on to the next level. If there is an area of weakness, your child will continue at that level with more review. There are tons of other details that you can check out by going to Reading Kingdom's website Parents tab! OK, enough of the parent details. I want to share with your our experience. We started, of course, with the skills survey. It was painful- for both of us. BUT, we did it in bite size chunks and with a lot of encouragement plowed through it. CJ's frustration was that he did not get everything right. Well, surprise son, you can't really read yet! Because he has just turned five and is just starting out, he was placed in the Seeing Sequence and Letter Land level. Sequencing is just that- seeing a sequence and typing it in. I was worried he would not be able to remember them (on the example below the word dog would disappear and then he would type it), but he did fine. The first words he learned: kid(s), boy(s), girl(s), some, more. Yep! That was it. Not your ordinary first word experience. I admit, I was surprised by the choice of words, but quite frankly it did not faze him at all. It would start by asking if you could type the word some. He would type s and press Enter, the program would assume he needed help and then proceed to teach him to spell some with a series of activities. Once he got all the words, he got to the first book! We cheered. Then he actually read it and we cheered again! Finding the space where the word SOME would fit. Did I mention I love this program? Let me break down a few more details I think you should know. *Reading Kingdom is repetitive with the skills, but presented in several different ways. It changed activities and characters enough to keep CJ interested, once we passed the skills test. *The voice behind the directions, a cute little owl, is clear and easy to understand. *The animation is simple and cute without being annoying. *If your child does place into a level you are not happy with, you can easily contact customer support and they will move your child forward or backward, per your request! *You can go back and repeat lessons as many times as you want if your child needs more review. *Your child accumulates points while they work which in turn "opens" a passport at specific point levels to reveal an animated scene. More points mean more animation. Maybe silly, but CJ loved it and would often do another level just to get to open his passport. *Level 1 teaches 36 new words and 63 new words and variants, just in six books! *By the time your child reads a book they have been taught the words they need to know to do so. I do remember saying "some, more, kids.., really? What happened to a, the, and it?" But I am telling you, when CJ read the phrase Some more kids, his face lit up! *The book was animated. After reading the sentence and pushing the arrow key, the pictures come to life with simple animation. Not your average, boring reader. You also have the option to have the story read to you. *You can receive progress reports by email or online. *There are two keyboard options. You can use the mouse with an online keyboard or you can choose to use your physical keyboard. At first we started with the one on screen, but CJ asked me to switch and that has worked better for him. *There are game like activities, but this is not really game based. I like that. I want my kids to be challenged sometimes and not to expect that everything has to be fun and entertaining to be worthwhile. *What I loved most- that CJ asks daily to use this program. When we took some time off to travel, he asked when we could get home to start again. It is not always easy for him, there are definitely some challenging aspects, but he is learning to read and gaining confidence. *Once the activities became more challenging CJ would occasionally not type in a response fast enough and the computer would give him help, assuming he did not know the answer. Since beginning, though, I have found you can increase the wait time under the parent options, so really, this is no longer a thing I don't like! Our bottom line, LOVE IT! (did I say that already?) We have since shelved the other reading program for a while and will continue to work with Reading Kingdom for the rest of the year. If he is learning to read and enjoying it all at the same time, how can we go wrong? You can begin Reading Kingdom with a free 30 day trial. After that is it $19.99 a month or $199.99 a year. Check out what fellow CREW members had to say about Reading Kingdom by clicking on the banner below. Disclaimer- I received a free one year subscription to Reading Kingdom in exchange for my honest review of this product. The opinions expressed are my own and were not influenced by the company in any way. Doing it a second time around! I have talked about homeschooling high school HERE in an earlier post, but now that we are five weeks into our school year I wanted to share some pictures and a few more details. Roo is our second daughter in high school, and while it is technically her freshman year, she did complete 3 classes last year that count towards her high school transcript. If they are doing high school level classes, even in 8th grade, IT COUNTS! And these are the books that are required... for just this year! With our first born, we allowed her to dual credit her senior year. In reality, she did not need any of the classes she took for her high school transcript. They simply allowed her to complete her freshman year at home, on-line. Lesson learned, with Roo we will begin on-line classes in her Junior year and truly allow her to take classes she needs to graduate as well as count for any general education college classes. (ie. British Lit) Hey, one less class for me to teach- works for me. As a side note, remember that online classes are less expensive and many colleges offer up to a 50% discount to high school dual-crediting students. You simply cannot beat the savings! Yes, it is the Sonlight IG! A real quick rambling- This year I allowed my daughter to make her own decisions about her writing program. She did a great job! With the encouragement of a few friends and fellow Sonlighters, she chose to try The One Year Adventure Novel. It is, by far, her favorite part of the day. Yes, Roo likes to write, but this guides her step by step in the writing process, with a full length novel being the goal at the end of the year. No humdrum, boring instruction and time wasting activities. I encourage you to take a look at this program, and NO, it does not help me out in any way. Just passing on a tip to a friend! Overwhelmed. Me too! If I think long term. But friends, I encourage you to not think long term daily. Yes, you must look ahead and have a general plan of action, but for each day- enjoy! Spend time together, talk about the work your child is doing, interact and learn together. Don't waste a precious minute...it goes by quickly! Homeschooling high school is no greater challenge than homeschooling Kindergarten or 5th grade, it just requires a few more hours and much bigger books! ;) There is plenty of help out there if you need it and plenty of fellow moms and dads in the trenches doing the same thing you are. Seek out like minded people and encourage each other. Together, we can make these some of the best years of their lives! This post is part of our Schoolhouse Review Crew Blog Cruise! Come back on Tuesday and click here to read what other CREW members have to say about home schooling the highschool year!